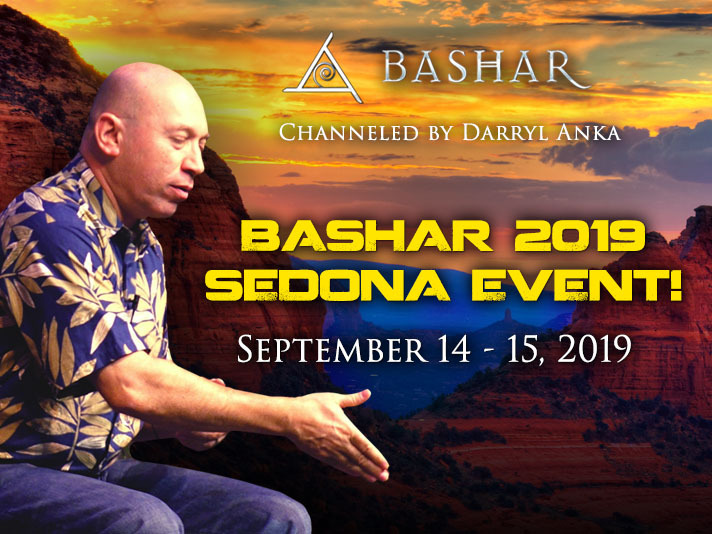 Bashar returns to Sedona, Arizona – the Portal of Magnification – for a very special weekend event, including an intimate meditation under the Sedona full moon. Join us at the gorgeous Sedona Performing Arts Center for this special Bashar channeling. Enhance your Bashar Sedona Weekend Event experience by joining us for the Contact Meditation! Bring a blanket and join Bashar under the Sedona night sky for this very special meditation experience. Will your group be bringing an interpreter to the event? It is highly recommended to use a simultaneous translation device in order to allow all participants the best experience possible. Please email us, in English, at events@bashar.org to prepare your special accommodations. Thank you. Advanced Purchase price $175 from June 1st to August 15th. Regular price is $199. Full Moon Meditation $50. Tickets available at the door only after noon on September 14th. 151 available	 Sedona Weekend Event - Early Bird Discount $150.00 Includes: Saturday and Sunday Channeling Sessions. Meditation not included. Out of stock! Sedona Priority Seating Add-On $50.00 Priority Seating for both days. (First 3 rows, center isle). Must be purchase at the same time or after purchase of event ticket. 205 available	 Sedona Full Moon Contact Mediation $50.00 Must attend channeling sessions, to participate in this meditation.